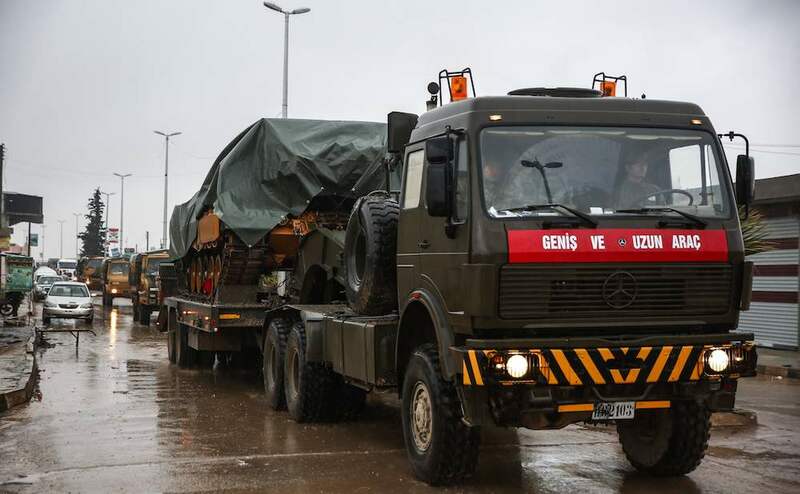 Important events have taken place since President Recep Tayyip Erdogan stated on Dec. 12 that Turkey was going to launch a military operation east of the Euphrates river in Syria. A few days later, Erdogan had a phone call with US President Donald Trump. According to the leaked part of the conversation, Trump asked Erdogan whether Turkey could clear out Daesh’s remnants in Syria. Upon Erdogan’s positive answer, while he was still on the line Trump instructed his National Security Advisor John Bolton to start the US withdrawal from Syria. Defense Secretary James Mattis, who was directly responsible for implementing the decision, did not agree with it. The day after the Erdogan-Trump conversation, Mattis submitted his resignation. This added more confusion to the Syrian imbroglio. When Erdogan announced his decision to carry out the military operation, he was probably expecting US troops to withdraw to a distance out of range of friendly fire. Instead, the US decided to pull out of Syria entirely. Erdogan must have been surprised by Trump’s far-reaching decision. On Dec. 21, Erdogan said he needed time to revise the operation to better adapt it to the new situation. Trump’s decision has changed several paradigms in Syria. The Pentagon was opposed to the US withdrawal from Syria before Daesh and Iranian threats are entirely eliminated. Daesh is crippled to a large extent, and Trump used the seizure of Hajin, the last small town held by the group, as one of the withdrawal’s justifications. But the Iranian threat remains almost intact, if not increased. Israel will do everything it can to persuade the US that due to its withdrawal, the Iranian threat has become more real. Trump’s decision may look abrupt, but it is not. The withdrawal of US troops from several countries, including Syria, was among his election campaign promises. He fulfilled some of them, such as unilaterally withdrawing from the Iran nuclear deal and cancelling Obamacare. So the withdrawal from Syria must be seen as the fulfilment of another campaign promise. In view of staunch opposition by strong figures in the Trump administration, it remains to be seen to what extent his decision will be implemented. It is unrealistic to expect the US to turn its back on the Kurds and stop what it was so eagerly doing to promote their cause. The fight against Daesh was just an excuse by the US to justify its military presence in Syria. The main reason was support for the Kurdish cause. That support will continue one way or another. Trump’s decision may look abrupt, but it is not. The withdrawal of US troops from several countries, including Syria, was among his election campaign promises. The withdrawal decision has created space for other important actors in Syria, namely the Syrian government, Russia, Iran, Turkey, Lebanon’s Hezbollah movement, the Kurdish People’s Protection Units (YPG), Daesh and Israel. All of them will try to secure a place in the vacuum created by the US withdrawal. Turkey may use this important decision as an opportunity to revise its entire Syria policy. The most reasonable approach would be to use the position of strength it now has to cooperate with Russia and Iran to contribute to Syria’s democratization process. Such cooperation will be meaningless if it does not include the Syrian government, toward which Turkey has a negative attitude. Ankara and Damascus have overlapping interests regarding the Kurdish issue. Turkey has repeatedly said it has no problem with moderate Kurds, and all what it wants is to put an end to the YPG’s oppression of non-Kurdish ethnicities and dissenting Kurds. Therefore, Ankara has to properly draw a line between moderate and other Kurds. Turkey has repeatedly affirmed its support for Syria’s sovereignty and territorial integrity. If Ankara does not use the right criteria, the administration that it will set up in northern Syria will collapse after it withdraws. If Turkey succeeds in setting up a sustainable order in northern Syria, a wider area of cooperation could be created in the Middle East. Unstable periods are fertile ground for such initiatives.